The wind of the Spirit of God has been blowing to draw people to Himself . . . through Africa . . . Asia . . . South America . . . Island Nations . . . the Middle East . . . the Far East . . . and on and on around the world. 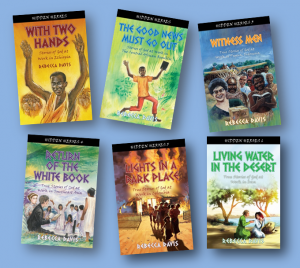 The Hidden Heroes series tells these true stories of the work of God through little-known Western missionaries and through the national Christians of the lands . . . over the last two hundred years, and up to the present day. 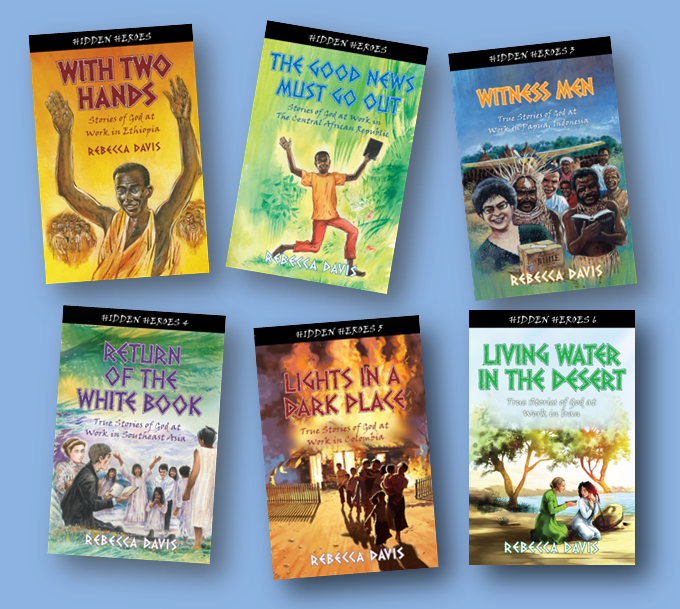 Written on the upper-elementary level, but with adults in mind too, the Hidden Heroes series of true missionary stories is designed for family read-alouds and classroom discussions. Join us at our Facebook page, Hidden Heroes Missionary Stories. Sometimes old books forgotten on library shelves carry within them the source of exciting dramatic presentations of God at work. Click here to see the dramatic storytelling presentations Rebecca gives for Christian schools, homeschool co-ops, conventions, and other groups. Rebecca gives her storytelling presentations in schools without charge. She also visits classrooms to discuss with students what it's like to be an author and to encourage them in their writing. Click here to find out what it would be like to host Rebecca in your school. People are excited to read about what God is doing around the world! Click here for some reader responses to the Hidden Heroes series and other books by Rebecca Davis.